nature: the international weekly journal of science, in its August 16, 2012 issue, published new findings that the Americas was populated in at least three distinct waves from Siberia across the Bering Straits beginning 15,000 years ago. Genetic testing has confirmed this. The settlement of the Americas occurred at least 15,000 years ago by means of the Beringia land bridge that existed between Asia and America during the ice ages. Key questions about how many migrations were involved and subsequent dispersal patterns within the Americas remain unresolved. This new survey of genetic variation in Native American and Siberian populations shows that Native Americans descend from at least three waves of migration from Asia. 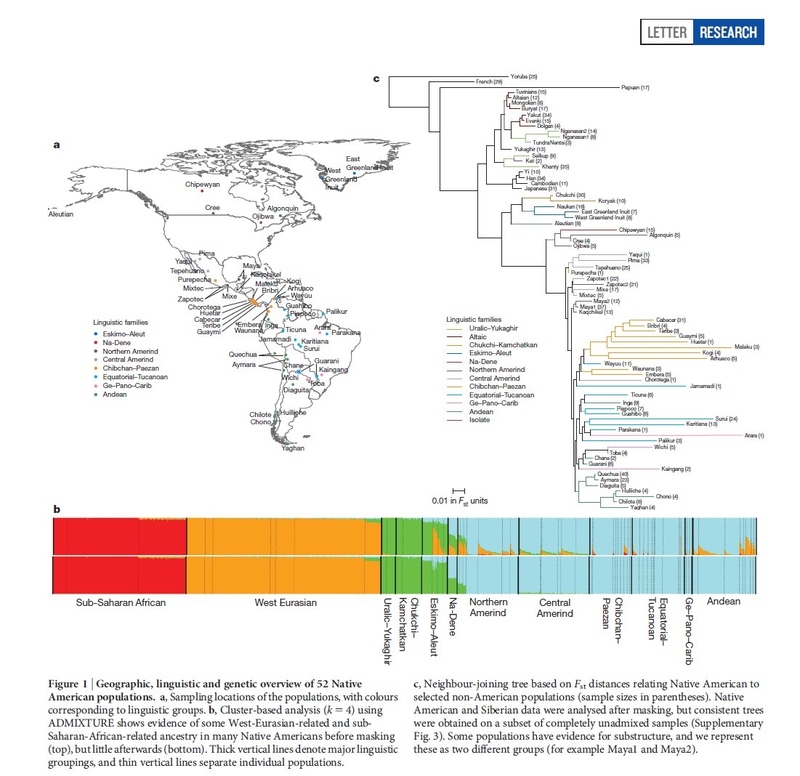 After the initial peopling of the continent there was a southward expansion along the coast, with sequential population splits and little gene flow after divergence, particularly in South America. Norma’s note: Indigenous peoples of Oaxaca, like the Zapotecs, Mixes and Mixtecs, are also Native Americans. It’s fascinating to look at ancient stone carvings and paintings at Mexico’s archeological sites and see the resemblance to Asian origins. The indigenous peoples of Oaxaca were physically isolated and have been able to maintain their native languages and traditions over the centuries, although that is changing in recent years as more people migrate away from their communities in search of jobs and more economic security. For more about the peopling of the Americas, you can order a full nature article. Recommended reading: 1491 by Charles Mann. And, there are 2 spaces left in our 2012 Oaxaca Day of the Dead Photo Expedition. We will visit the Zapotec archeological site of Monte Alban where you can see the stone carvings for yourself! This entry was posted in Cultural Commentary, Oaxaca Mexico art and culture and tagged anthropology, blogsherpa, Mexico, migration, Oaxaca, The Americas. Bookmark the permalink.